To see the details of the bootup process, we need to disable the splash screen. The splash screen hides the information during the computer boots, such as Windows XP version, files being loaded, system data, and file system check. 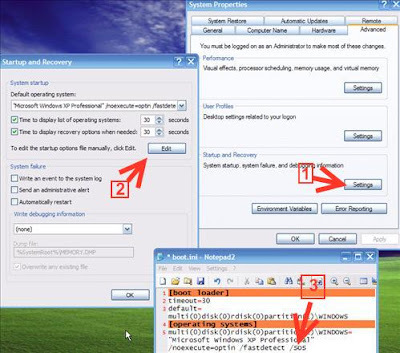 In the System Startup area, click Edit. Restart the computer to see the changes.